Walking into Biggie’s last night was like being transported back to NY or NJ. 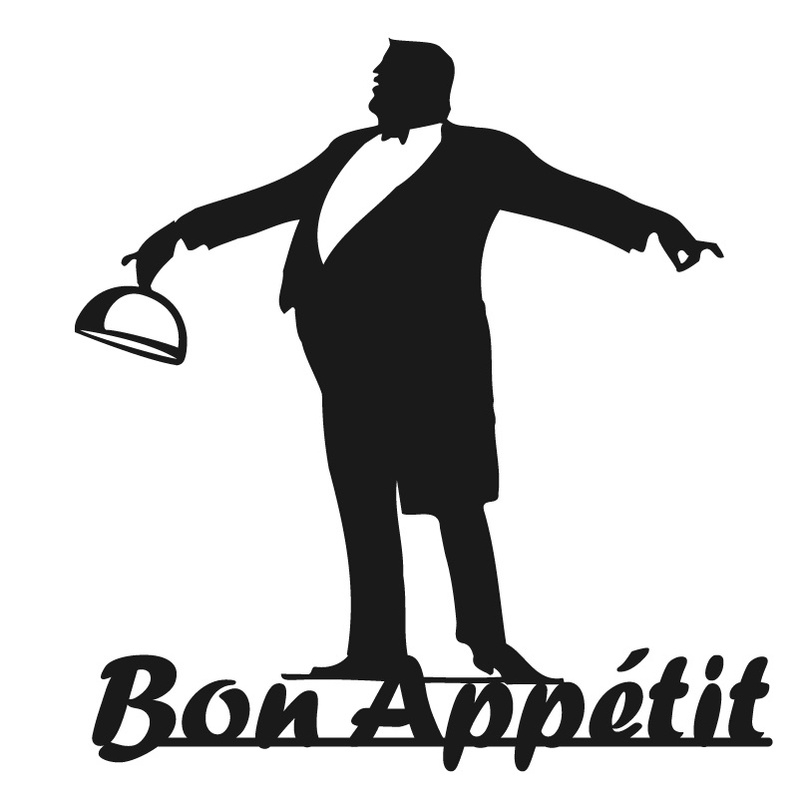 Once you hit the door the aroma of baking pies hit and beckons you in. 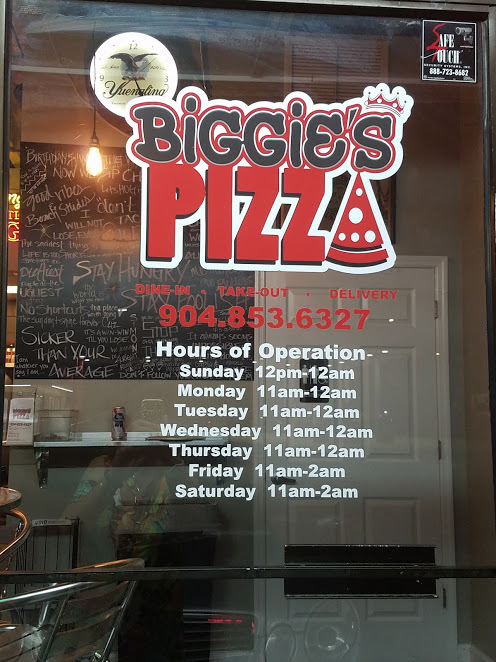 Formally occupied by Burrito Gallery Express and is truly a hole in the wall, it was pack when we arrived at 10:00 pm, yep open late not the norm in this town, Biggies opens at 11:00 and closes at midnight and 2:00 am on Friday and Saturday. The exterior and interior are covered in interesting art work the brain child of the owner and created by a local artist. 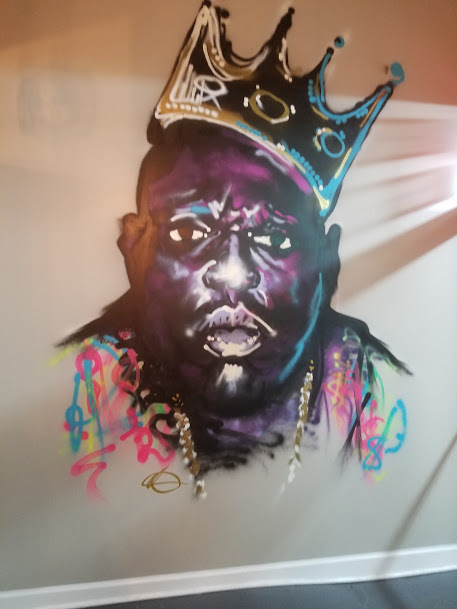 The most notable for sure is the “Biggie” on one of the interior walls. 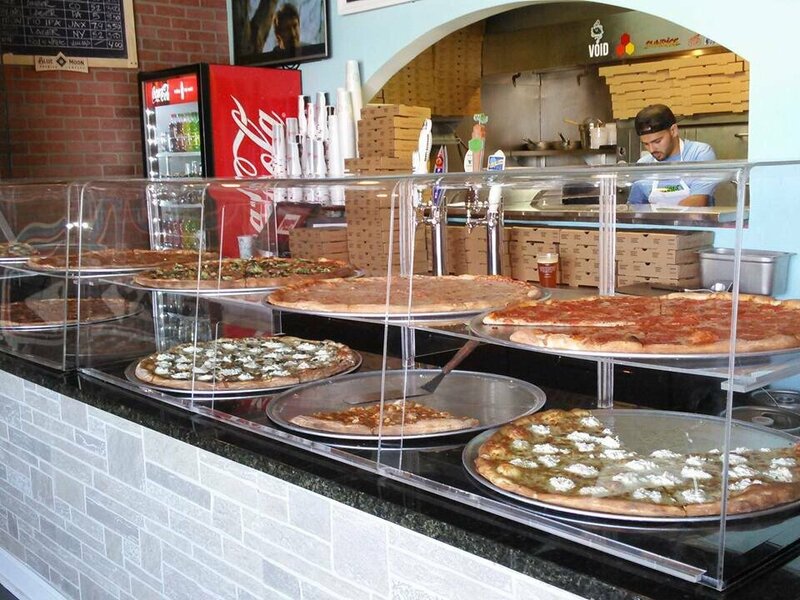 The second clue you can count on getting a great slice, all the pizzas are on display with slices “as big as your head” ready to be popped into the oven. The menu is on the wall and you can ask for any combo your heart desires if you don’t see it listed. My companions, one selected a Sausage slice, which I missed but here is a picture of the entire pie. My other companion the pepperoni again the sliced was missed but here is the entire pie. It’s easy to see by the pic how large each slice is. 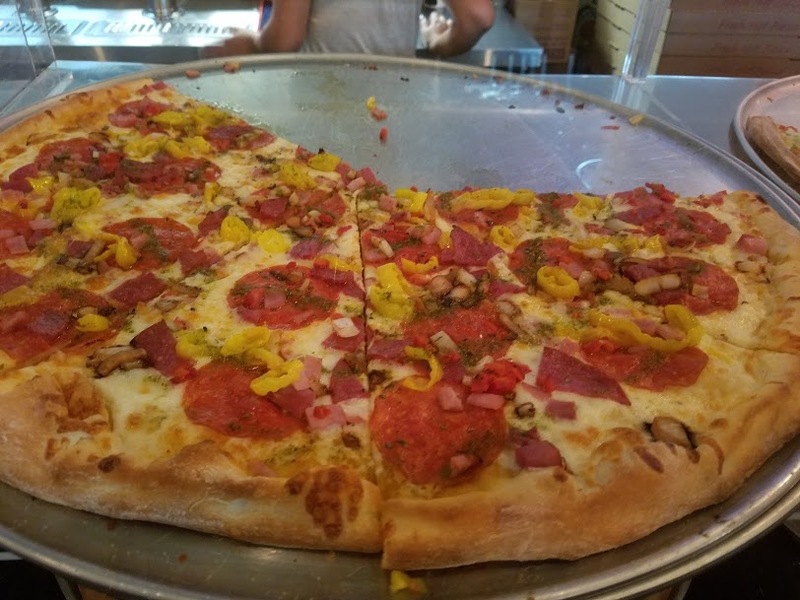 Most people were ordering one of two slices but a table ordered an entire pizza that what huge. 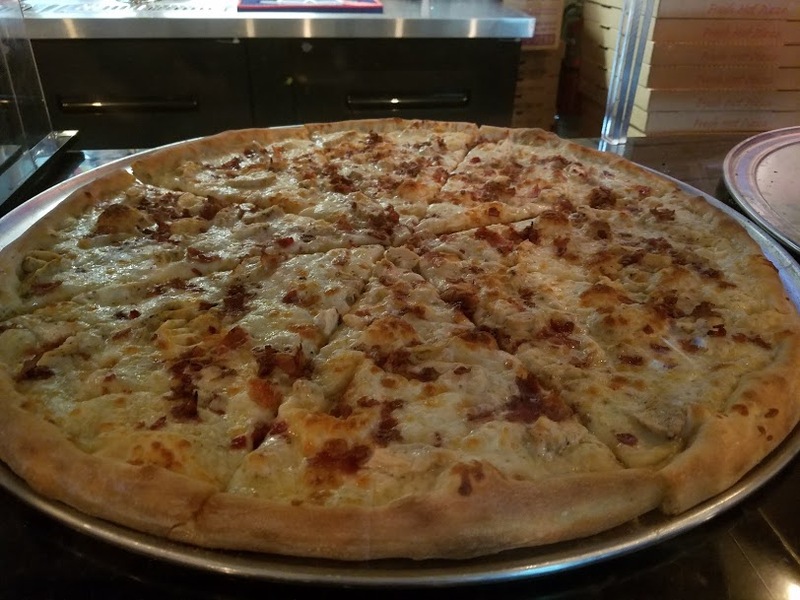 The crust on all pies so crisp and light well browned, a perfect pizza experience all around, ample cheese and toppings. Not stopping after the pizza experience we moved on to dessert. 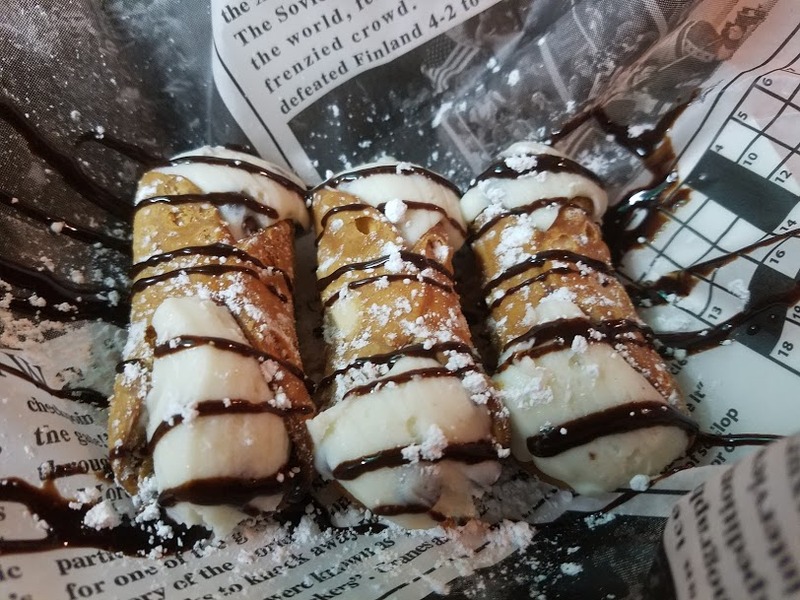 We asked for some baby Cannolis, that turned out to be an excellent choice. One for each of us. Crisp shells, sweet ricotta stuffing and drizzled in a delightful chocolate sauce. 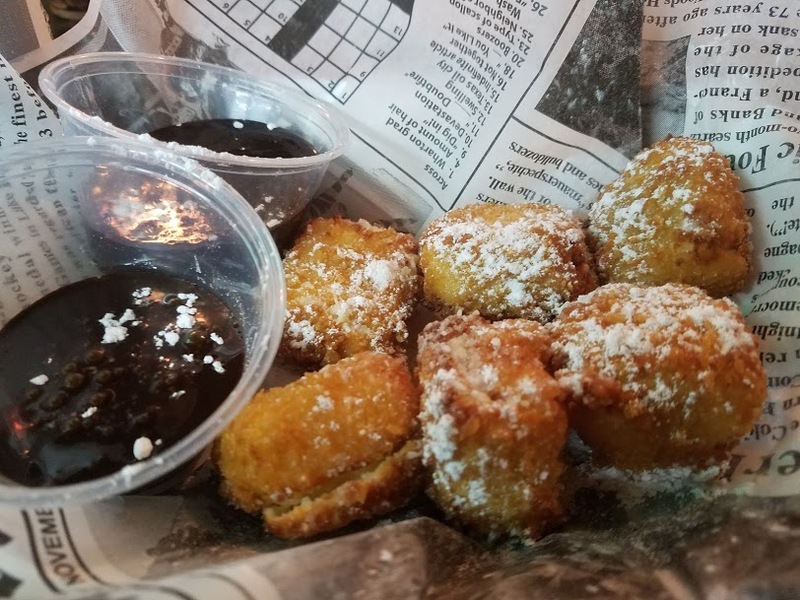 We kept on going, Martini’s Zeppoles and Mikie’s Cheese Cake Bites. One round of Cheese Cake bites and we were done. While not my favorite they were interesting. My companions like them. 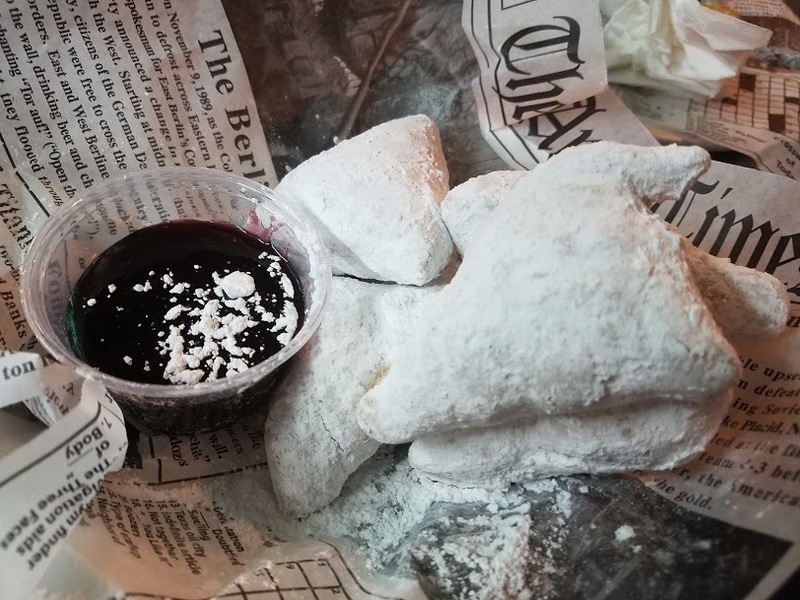 They also came with the berry compote. 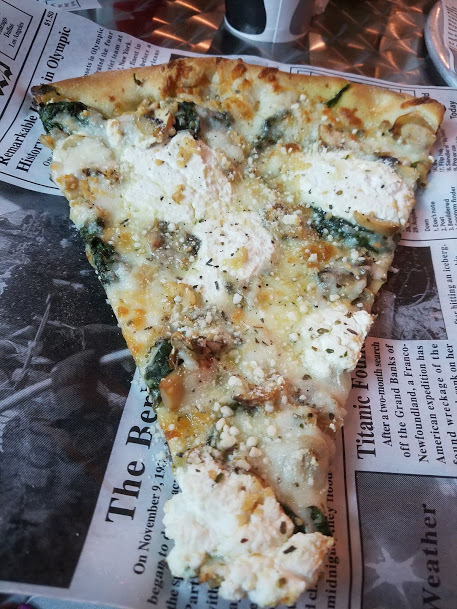 I must say run don’t walk to give this pizzeria at try, this is for sure a place to take your best foodie friends, go late a night after a show, or late night date, this spot is a locally owned and run, bringing good food to the community, I always vote to support the local effort.